Everyone knows the story of Aneira Hope Jones, the woman swallowed up by a tornado, and of the painful legacy bestowed upon her children. 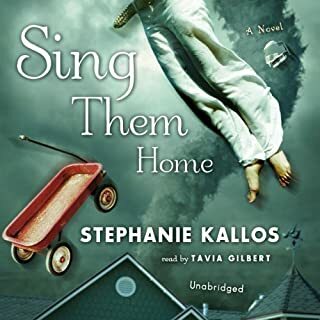 Larken, Gaelan, and Bonnie have grown into adulthood enshrouded in myth and unresolved grief, longing for closure and for release from their identities as motherless children. Both knowingly and unknowingly, the Jones siblings have condemned themselves to the task of interpreting and paying homage to their mother's life; thus, they have never claimed their own. Charles Marlow is a Seattle English teacher who instructs his students to expand their worlds through language. Lately, however, with one child off to college and the pressure from his ex-wife to make plans for their severely autistic son who's about to age out of the system, he prefers the company of the ghosts he turns up in the storage boxes in his crawl space. Ann Patchett’s award winning, New York Times best-selling Bel Canto balances themes of love and crisis as disparate characters learn that music is their only common language. As in Pratchett’s other novels, including Truth & Beauty and The Magician’s Assistant, the author’s lyrical prose and lucid imagination make Bel Canto a captivating story of strength and frailty, love and imprisonment, and an inspiring tale of transcendent romance. When we meet septuagenarian Margaret Hughes, she is living alone in a mansion in Seattle with only a massive collection of valuable antiques for company. Enter Wanda Schultz, a young woman with a broken heart who has come to Seattle to search for her wayward boyfriend. Both women are guarding dark secrets and have spent many years building up protective armor against the outside world. But as the two begin their tentative dance of friendship, the armor begins to fall away, and Margaret opens her house to the younger woman. This launches a series of remarkable and unanticipated events, leading Margaret to discover a way to redeem her cursed past and Wanda to learn the true purpose of her cross-country journey. Exuberant, heartbreaking, and alive with a potpourri of eccentric and irresistible characters, Broken for You is a testament to the saving graces of surrogate families and shows how far the tiniest repair jobs can go in righting the world's wrongs. 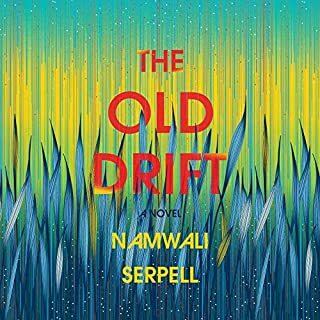 While this novel started out a little slowly, I was entranced within the first hour. It's a novel about all the ways we're broken and the ways we can heal by opening up to the people around us. The ending was a little predictable, but the story was wise and funny and well written. The narrator was wonderful. I enjoyed this selection more than anything I've listened to in months. This is a book that will grow on you. It is exceptionally well read and perfectly suited for listening. If you like books that weave stories together that are touching and heart warming, this is the book for you. I actually got into this book and enjoyed it. Usually I listen while driving or cleaning. This one made me sit down and listen. I usually do not do that. In a way, it is the usual "old age and values" vs. "what happens next." But it is sweet ... not candy coated, just sweet. Yes, fantasies, but I have learned, they do happen. This was a good listen and I do recommend it. 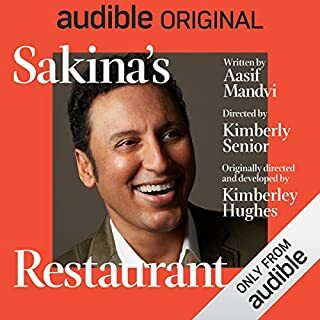 I am a long-time listener with Audible and this book ranks up their with the best. 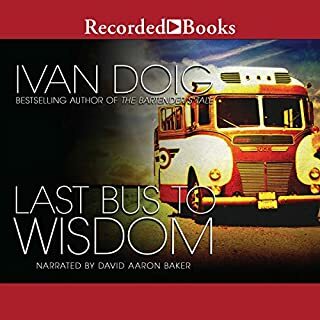 Its moving; its funny (listening to the narrator track a conversation between an old jewish lady and a middleaged Irishman is hysterical)and the characters are those I wish I could revisit. Its a lovely story about redemption. I don't usually write reviews but this book will remain one of my favorites along with the Time Traveler's Wife. 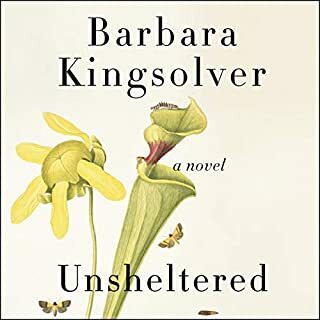 This is a very well written book, full of humane and caring characters, who are also not without some major faults, to say nothing of eccentricities. The narration is very fine, as well. Despite some beautiful writing, this book falls short for me. The writer attempts to use the breaking of china as a metaphor for forgiveness and redemption. She presents us with well develped characters, all in pain and in need of healing. They are sad and funny at the same time. Mostly I liked them very much. They suffer, however, from a plot that is contrived and unrealistic. I knew exactly what was going to happen halfway through the book and was not surprised at the 'happily ever after' ending. The writer is talented. She demonstrates her skill describing the characters in wonderful detail. Her dream sequences are magnificent. If only she had given more attention to using her skills to tell a good story. This was a story that briskly moved along. The main characters were likable and interesting, while some of the other cast of characters were two-dimensional. The unfolding of the plot was at times original and suspenseful...at other times quite predictable. In the end, the originality of this story won out for me. Months after reading it, I can still vividly remember characters, situation, and plot. This is a keeper! I will share the news with my friends and book group. Not only a fantastic story with many levels of emotions and entertainment, but very well read by a narrator with a gift for many voices. 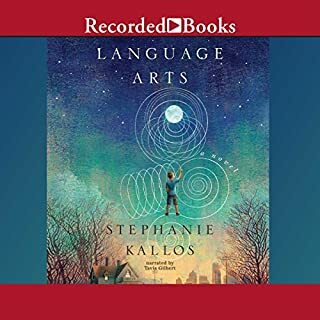 I just loved this book--rich character development, a lengthy but well developed plot, and a satisfying ending where all the subplots came together. I was sad to finish it. Also, it was a very well read book, which added immensely to the experience. Highly recommended! A delightful book with very real and interesting characters. Even at the very end, when you think you know what will happen, you can't wait to finish it. I enjoyed it thouroughly.